Chatham’s Walmart is located in the middle of one of Chicago’s biggest “deserts.” Not only does the area number among one of the city’s most desolate “food deserts,” but its green space is extremely limited as well. 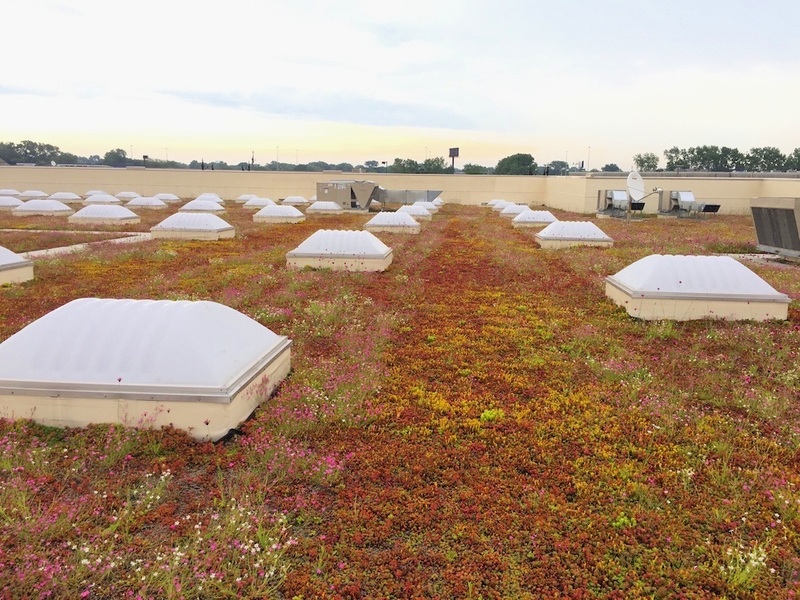 Ecogardens was thrilled to help Walmart change that by installing a 4-inch-thick, 140,000-square-foot green roof from wall to wall on the roof. In addition to protecting the building envelope and helping it last significantly longer, the roof also helps to manage stormwater and cool the store in summer. Plus, the design respects the numerous skylights intended to let natural daylight into the store.